He was born June 17, 1930 in Lincoln, IL, a son of Joseph Daniel and Esther Eichelberger Miller. He married Dorothy Kaufman August 15, 1953 and she preceded him in death October 29, 2011. Dan was a self-employed truck driver and had also worked for Tajon & Company Trucking, Butler Trucking, and Modern Trucking. A member of Sunnyside Mennonite Church, he enjoyed maintaining his property and especially loved spending time with his family. Survivors include four children, Barbara Miller (Richard) of Myakka City, FL, Gary Miller (Angel) of Hartstown, Sandra Mills (Tom) of Conifer, CO, and Theresa Hurd (Dave) of Hartstown; eleven grandchildren, Jason, Chad, Sonya, Adam, Kyle, Christal, Nicholas, Scott, Tyler, Lindsey, and Brandyn; seven great-grandchildren, Ruthie, Joya, Levi, Briggs, Aurora, Haley, and Jackson; two brothers, Dave Miller (Roberta) of Conneaut Lake and Sam Miller (Elaine) of Nappanee, IN; a sister, Lois Yoder (Ken) of Meadville; a daughter-in-law, Cindy Miller of Jamestown; and several nieces and nephews. In addition to his parents and wife, he was preceded in death by a son, Joseph Miller. Calling hours will be Friday, March 29th from 4-8 p.m. at WAID-COLEMAN FUNERAL HOME, 12422 CONNEAUT LAKE RD., CONNEAUT LAKE. 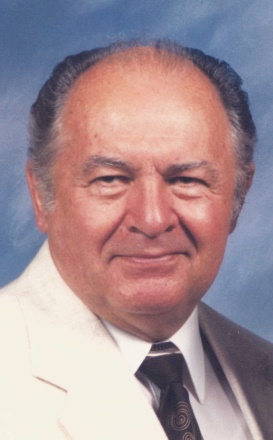 A celebration of life service will be Saturday, March 30th at 11:00 a.m. at Sunnyside Mennonite Church, 12981 Foust Rd., Conneaut Lake with Pastor Russ Richardson officiating. Interment will be in Sunnyside Mennonite Church Cemetery. Memorials may be made to Hospice of Crawford County (for the Marquette Hospice House), 766 Liberty St., Meadville, PA 16335.